I’m really excited that DrupalCon is in Baltimore this year. 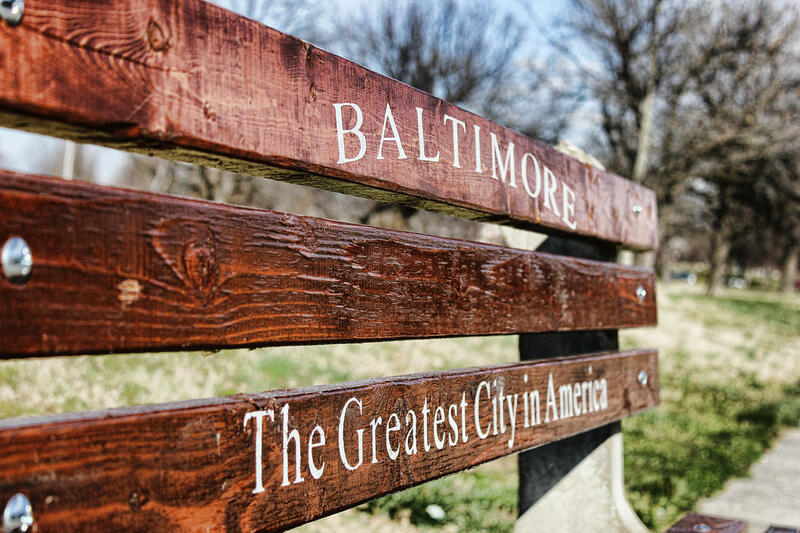 I had the pleasure of spending my 20's roaming the streets of Charm City, and I still love it more than any place I’ve ever lived. While The Wire is an amazing show that exposed the real problems that plague Baltimore, it left out the joy, art, music, and general quirkiness that wins people’s hearts. Here’s are some suggested things to do to while you’re spending your week in the Greatest City in America. The list is by no means exhaustive. I tried to limit it to places that are tourist-friendly without being overly touristy. Most are pretty close the the Convention Center and Inner Harbor, where the the convention and hotels are located. Here's a handy map for reference. American Visionary Art Museum - I’ve been to art museums all over the country but the Visionary is my favorite. The art is from untrained artists and tends to be more whimsical, intricate and tragic than what you’d see in a typical museum. To add to the fun, you can take a water taxi from the Harbor to the AVAM. Baltimore Museum of Art - The BMA features an impressive collection of modern and contemporary artwork. You’ll probably have to take a cab to get there. The Walters Art Museum - The Walters is a bit closer to the Convention Center. The exhibitions have more classical and ancient pieces than what you’d find at the BMA. You can get to the Walters for free by taking the Purple Charm City Circulator from the Inner Harbor. National Aquarium - I’ve actually never been, but people love it! Washington, DC is only 40 minutes and $8 away by MARC train. Fells Point - In truth, you can visit Fells in the day, do some shopping, go to Broadway Market, and sit by the pier. But Fells’ claim to fame is that it is believed to have more bars per mile than any place in the US. Hit this up earlier in the week to avoid the college kids. Club Charles - I used to work at the movie theater across the street from this too-hip-to-believe restaurant and bar. Yes, I’ve seen John Waters here. Brewer’s Art - Before craft brews were all the rage, this old Baltimore brewery was serving up amazing beer. Upstairs is a nice sit-down restaurant and downstairs is a dive bar. You’ll see their signature Resurrection Ale on tap all over town. Getting there is straight shot up Charles Street. Federal Hill - Federal Hill is another neighborhood that's good for bar-hopping and it's a quick cab ride from the Convention Center. Woodberry Kitchen - Not really close to the Harbor, but highly recommended by almost everyone I asked. If you go here, take the time to stroll through Hamden. Tio Pepe - Spanish and Mediterranean according to the website. The Prime Rib - I’m assuming they have Prime Rib. Charleston , Ouzo Bay, Azumi Restaurant are all close to the Drupal activities. Captain James - Maryland Crabs with Old Bay seasoning are a Baltimore staple. I became a vegetarian before I moved to Baltimore so I recommend this restaurant primarily because it is shaped like a boat. If you’re going to DrupalCon Baltimore I hope you get to explore the city beyond the Inner Harbor. If you see me around, I’ll happily talk your ear off with many more recommendations. (Also, check out my session 15+ Ways to Debug Drupal 8!) There are great clubs for punk and hip-hop, plenty of LGBTQ-friendly spots, great old movie theaters, weird public art and history, history, history. With an open mind and a bit of an adventurous spirit, hopefully you’ll fall a little bit in love with the city too.